And what better to follow the latest Kevin H. with than the latest by his longtime associate and fellow St. Louisan, Dan. Z., whose long promised graphic novel debut has at last arrived! 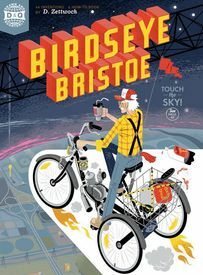 Birdseye Bristoe is 72 full color pages of pure Zettwoch: set in a fictional (but perhaps even more authentic for being so) midwestern locale somewhere between St. Louis and Louisville, and filled with cut-away drawings, explanatory diagrams, maps and, of course, page after page of fun-filled comics filled with down home midwestern characters of all ages and stripes, it tells a story of industrial development and technological change that for all it's impressiveness seems to make little impact on the locals, who just continue to carry on apparently impervious to it all. These characters, when combined with the story's narrative arc, give this work the feel of a fable; one in which "progress" is something of a conceit, and the eternal verities of a practically-minded, human-scale life of family, friends and useful work prevail. 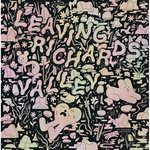 Anyone wondering where to find that self-sufficient, can-do, don't bother me American spirit of yesteryear now has an answer: the comics work of Dan Zettwoch. Never one to shy away from wearing his heart on his sleeve, Zettwoch has rendered the entire work in ballpoint pen, colored pencil and white-out pen on tan typing paper – and to great effect, as these PDF preview pages attest (but just barely; they don't do the printed work justice). Added bonus: end papers!